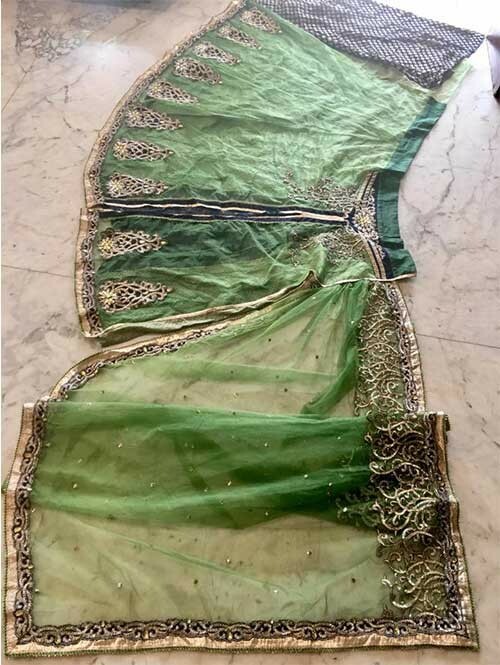 Green Colored Heavy Stone Work and Embroidered Fancy Net Lehenga Saree With satin Inner. 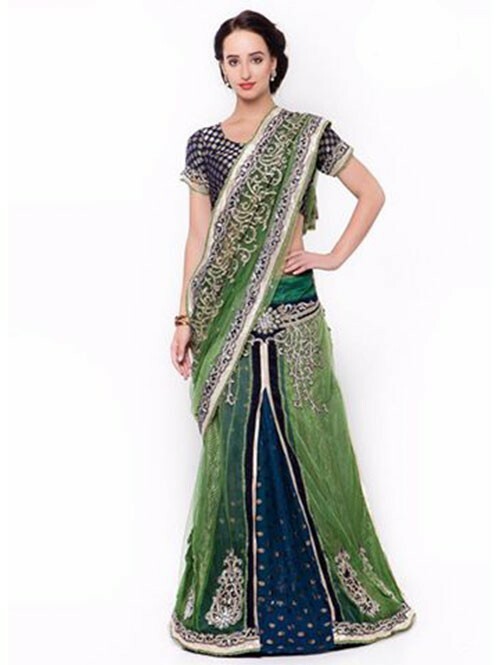 Catch Out Best Look For The Day With This Awesome Green Colored Embroidered Lehenga today. We offers you to attract compliments by this attractive Semi-stitched Lehanga Choli. 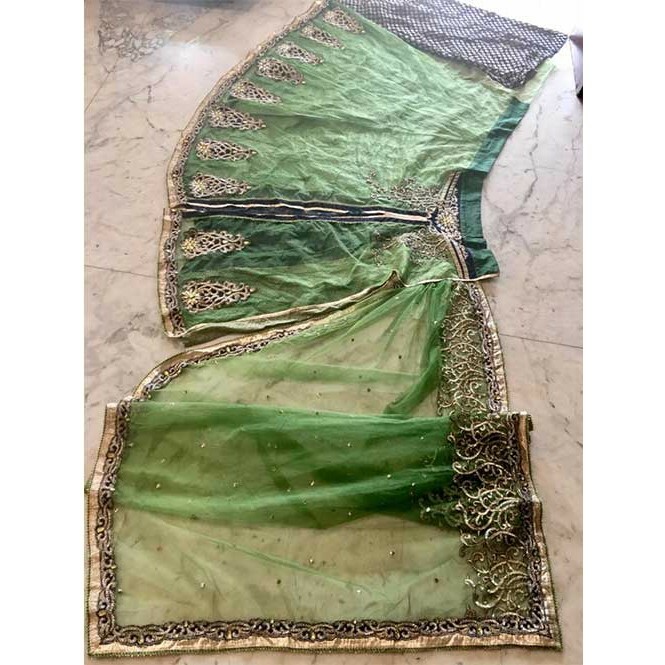 Green color Embroidered Net lehenga, comes with Gold Embroidered Silk choli and Green Embroidered Net dupatta. Made with fine quality material and beautiful work which can be worn for functions, festivals, parties.This Lehanga Choli is comes with unstitched Blouse so it can be stitched according to your taste and preference. Pink coloured Pure Net Lehenga Saree With Embroidery and Stone Work. Blue Colored Pure Georgette Pallu Net Patli Lehenga Saree With Embroidery and Stone Work. White Colored Heavy Stone Work and Embroidered Fancy Net Lehenga Saree With satin Inner. Red Colored Heavy Stone Work and Embroidered Fancy Net Lehenga Saree With satin Inner. Yellow Colored Heavy Stone Work and Embroidered Fancy Net Lehenga Saree With satin Inner. Violet Colored Heavy Stone Work and Embroidered Fancy Net Lehenga Saree With satin Inner. Cream Colored Heavy Stone Work and Embroidered Fancy Net Lehenga Saree With satin Inner.